Happy Tuesday! In 2 more days, I will be the big 40 years old!!! Before, I get to tutoring, I am doing a very special deal for my birthday and beyond! My sweet little Shih Tzu wound up at the Animal Hospital after making continuous noises a week ago last Friday. She wound up passing away twice as they were doing xrays and they brought her back to life twice with CPR. She wound up needing oxygen and has been there quite a bit since then. She is home with me now! I have created a Go Fund Me page to help with these crazy vet bills. If you would like to donate, I will send you TRIPLE that amount in teaching resources. All you have to do is email me at tigermagic@bellsouth.net the products you want and I will get them to you in 24 hours or less. Usually quite quickly unless I'm sleeping! So if you donate $5, you'll get $15 worth of things in my store! $10 you'd get $50! $1, you'd get $3! This is far better deal than any site wide sale and you'll be helping me with my dog! 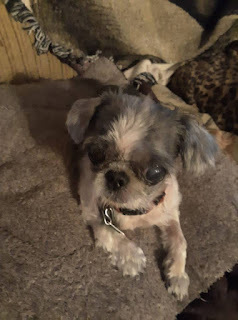 Click the picture to check out my Go Fund Me, see the vet bills, and read the updates! If you can't donate, please share with your pet and animal friends! This is why the past two weeks I've posted covers, rather than in action, but I may change them out when I have time. 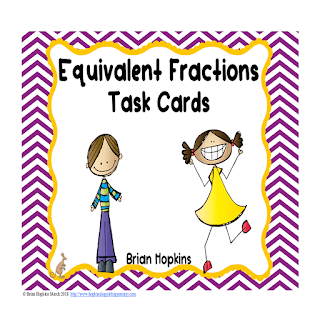 We started tutoring working on equivalent fractions using my Equivalent Fractions Task Cards! There are 24 cards, a recording sheet, and a sample answer key (there are too many possible answers). These are in black and white. She did a great job! 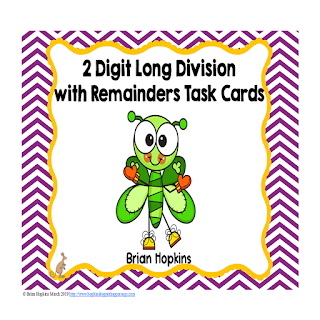 We finished tutoring working on more 4 digit by 2 digit long division task cards using my 2 Digit Long Division St. Patrick's Day Bugs Task Cards. These come in color and black and white and includes a recording sheet and answer key! She had some difficulty mostly with putting the numbers on top after figuring out how many. We will keep working on this one. She will get it! She's only in 3rd grade yet doing 5th grade math!